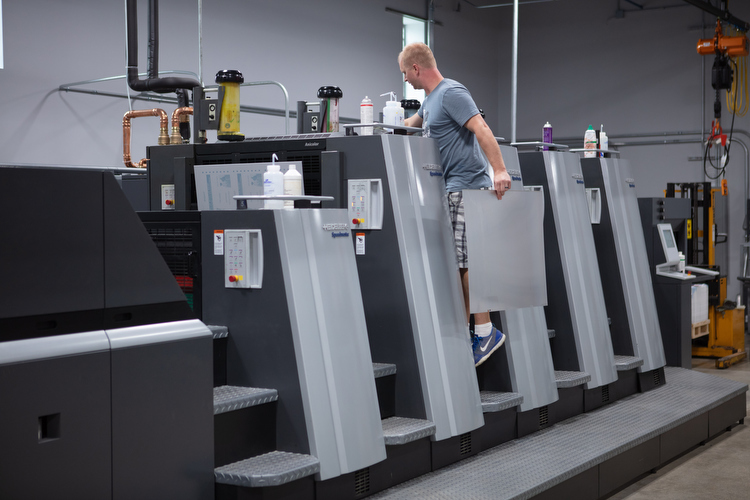 Printers hold a responsibility to their clients, the community, and the environment. As a B Corporation, Swift Printing takes that one step further, putting people and planet over profits. Meanwhile, Crop Marks pushes for environmental sustainability in everything it produces, which is quite a lot. Imagine someone hands you a business card. A rectangle about three-and-a-half inches long and two inches wide. Their name is embossed on the front, their company and phone number. You put it in your wallet with countless others. And there it stays until you get a new wallet. Is this vision changing your life yet? Is it changing anyone else's? Maybe the solicitation didn't leave that much impact on your life, but the card should. It's proof of the First Amendment, proof of the value we place on interpersonal communication, and proof that a man named Johannes Gutenberg came up with one of the best ideas the world has ever seen. Printers assume a great responsibility. It's more than just making sure the rollers are inked, and registration marks aligned. It's more than just matching up the right colors and paper weights. Just like the first printing presses of the 14th century, modern-day printers act as an amplifier for their clients. They manifest ideas into a physical call to action, and multiply them for distribution; maybe through magazines and books, maybe a few lost dog posters, or a giant billboard overlooking US-131. Many things are printed every day, just as there are many printing companies in the world. They aren't that hard to find through a simple internet search, but whether or not they understand the weight of the printer's responsibility is harder to discern. A heritage company, Swift Printing still has their old machinery, for the memories and occasional odd job. Most work is done with cutting edge presses and machines. 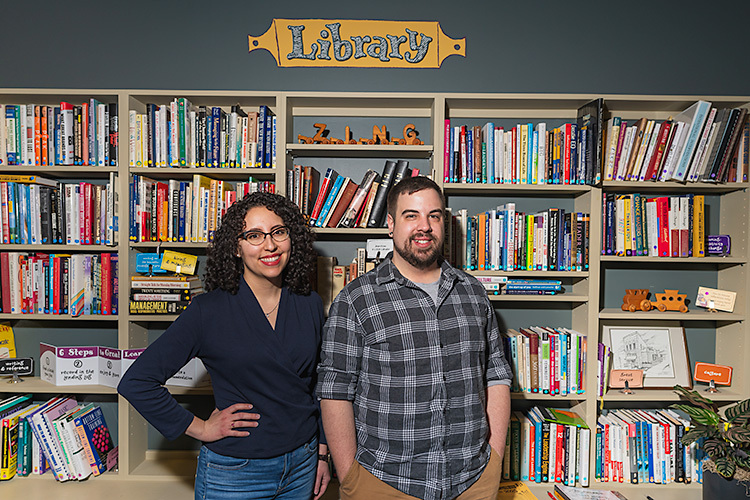 Swift Printing, located at 404 Bridge St. NW in Grand Rapids’ Westside neighborhood, is the only printing company in Michigan with B Corporation status. That's a documented and implied promise to put matters of environmental, cultural, and workforce sustainability over meeting a bottom line. 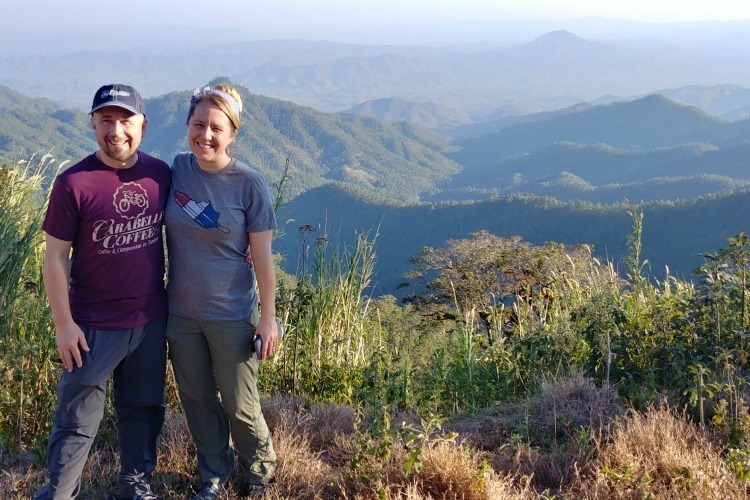 B Lab, the official certification organization for B Corporations, grades each applicant on "social and environmental performance, public transparency, and legal accountability to balance profit and purpose." The certification allows for tax benefits in several states, though no exemptions are available for the now-15 B Corps in Michigan ... yet. The initiative these companies have taken is based on a desire to make their communities better off as a byproduct of their business, not the other way around. When Swift Printing pursued B Corporation status, it wasn't too much of a leap for their culture or mission. Living up to these ideals was already in the blood and ink of this business. Jess Slaydon and her father Walter Gutowski, Jr.
"Our values from the get-go have always been about doing the best thing for the customer, for the employees, and for the environment," says third-generation Swift family member Jessica Slaydon, who runs the company's community relations. 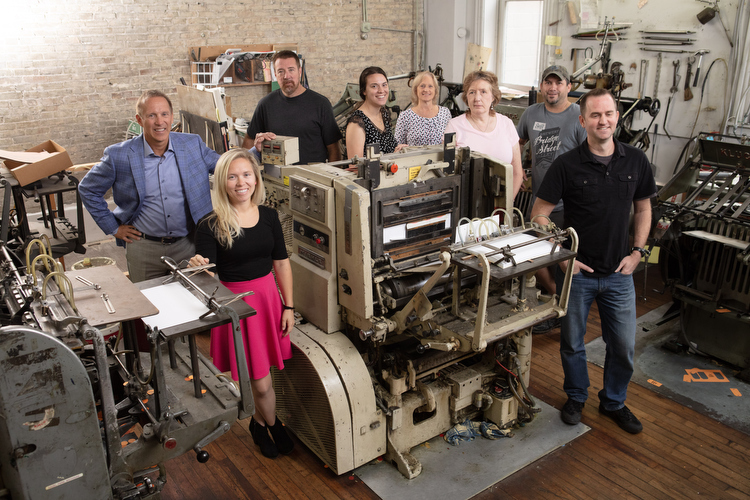 The family business was founded in 1950 when West Michigan printing industry veteran Walter D. Gutowski, Sr. and his wife, Lorraine, opened up shop in Muskegon. Before long, they moved to the Westside, and Walt Sr. brought on his son, Walt Jr., who eventually welcomed his own children into the business. 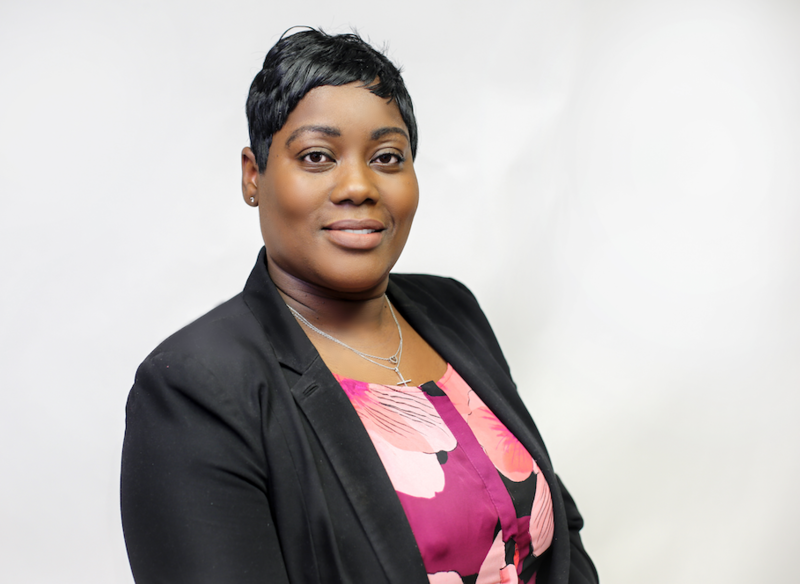 Slaydon worked at Swift throughout high school and attended college in Florida, where she received her bachelor of science in public relations, with a minor in graphic design. 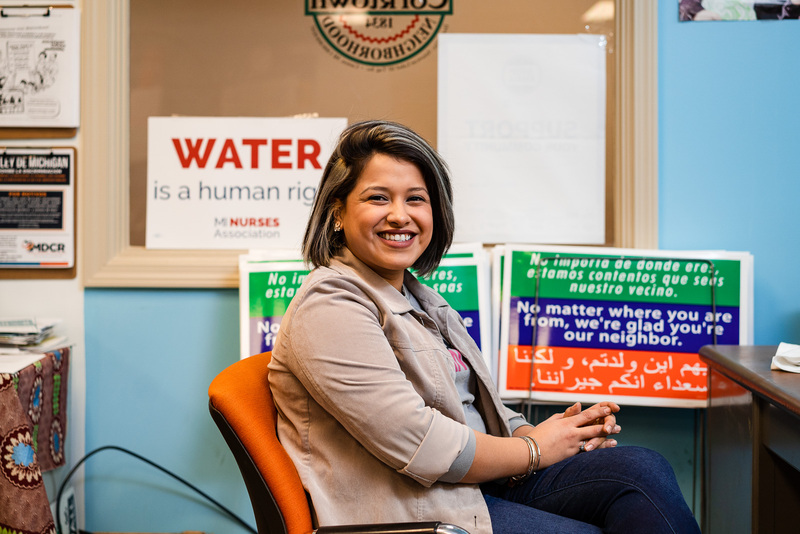 She says she knew she would eventually come back to the print shop, but broadened her experience working on a political campaign and as marketing coordinator for Two Men and a Truck before heading back to Grand Rapids. "I wanted to see what else was out there," she says. "I knew I had to be in a work environment where people care, which is no unique thing. Everyone wants to be in a place where they care about people in the workplace." Back in West Michigan, Slaydon makes sure those ideals are maintained in Swift's B Corp status. It wasn't an easy sell at first. Printing companies often obsess over profit margins to the point of preferring overruns to waste when the most efficient solution isn't the most lucrative. But Swift has long preferred efficiency. 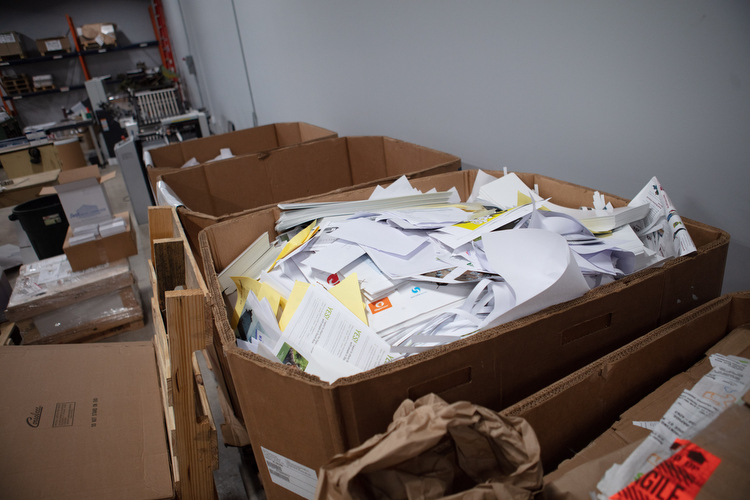 They were the first print shop in the region to start recycling in the 1980s when West Michigan contained the highest number of print shops per capita, many of which were sending their overages to the landfill. And as environmental concerns increased over the subsequent decades, Swift became even more committed to reducing waste, repurposing packaging, and even using scraps to create notepads and other usable goods. New technologies print more with less.Slaydon made her case mirror Swift's mission, and her father was convinced. "If we're already doing these things, why pay the extra money and take the time to prove it?" she asks. "For me, the answer was simple. We're in an age where anyone can greenwash or anyone can say they're doing something for the environment or doing it for their employees. But, for us to be able to have that third-party accreditation and actually prove it was important, especially for our future branding and for generations to come, not just for my kids, but three or four generations down the way." Slaydon's children sing in the car as she speaks on the phone. It's apparent those generations have a few years before they're of working age. In the meantime, Walt Jr. continues to run the business on the principles his father started with, and even some of the same staff. That steadiness is a virtue, but Swift is by no means short on innovation. Along with recycled and responsibly-sourced paper, Swift is using vegetable-based inks and a recently acquired Anicolor printing press that combines digital accuracy with the print quality of a traditional offset machine. "It does everything that an offset press can do and everything that a digital press can do," Slaydon says. "The coolest thing about it is, a traditional offset press would take up to 1000 sheets to get the color right, and this one does it in like 15 or 30. Right there, we're already being much more efficient with natural resources." Swift's new presses dramatically reduce the amount of paper waste made by printing. Slaydon says she loves everything about the print industry, as well as the opportunity to approach it from a different point of view from the mainstream. Swift's size allows its leadership the freedom to devote attention to fair and clear communication between its employees and community. That's what helps them stay ahead of ubiquitous online operations like VistaPrint and Moo. Becoming a B Corp underlines that communication with sustainability and trust. "We're right between a ma and pop and mid-sized corporation, but we have had the same staff for 20 plus years," Slaydon says. Swift currently employs 10 full-time workers. "Some of our guys are on their 24th year and they started right out of high school," she continues. "We've got someone who's 78 years old and someone who's 23 years old. We have every stage of the workforce at our print shop." Printing companies that invest themselves in the people of West Michigan have a habit of sticking around. Local partnerships are a mainstay of Crop Marks’ business, which handles print projects for Experience Grand Rapids, Local First, Grand Valley State University, Kendall College of Art and Design, and Grand Rapids Community College, as well as the City of Grand Rapids, the City of Walker, and Kent County. Crop Marks’ founder and president Russ Colter is proud of the relationships he’s helped his company foster since it started just over nine years ago, and he intends to hold onto those relationships. 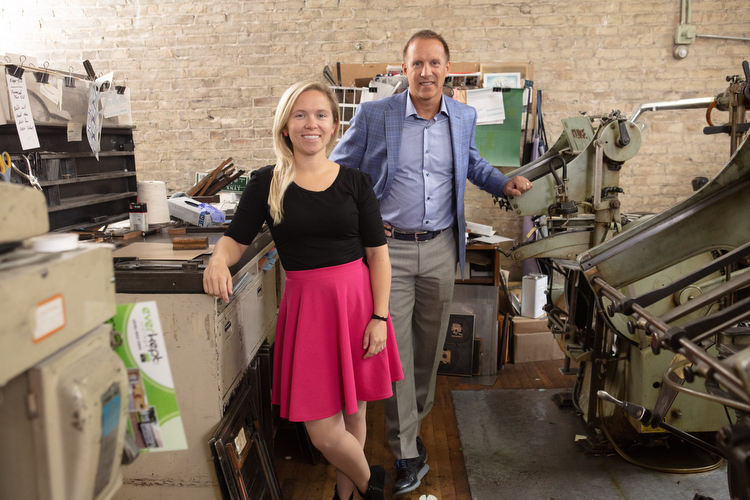 Prior to starting his print shop, now located in the Belknap Park neighborhood, Colter spent 15 years working for a national printing company before being “unceremoniously fired,” he says. A mass migration from print materials to digital throughout the 2000s left many newspapers struggling with obsolescence, and printers struggling to find new clients. Companies on both ends of the press were going out of business almost daily. But strong relationships aren’t as easily bankrupted, and Crop Marks would build on that idea for the better part of the subsequent decade. You may not see Colter’s name posted all over town, but his work is everywhere. Along with school and municipal accounts, Crop Marks prints the signage for some of the largest construction projects in West Michigan, from the signs around Pioneer Construction and Copper Rock Construction developments, to the stickers on their hard hats. The shop also handles every eye care appointment card Lens Crafters or Target Optical sends out to its patients. Colter’s friend and long-time partner was recently diagnosed with leukemia and he’s been left with running the shop himself, but he’s hopeful for the future, and building other key partnerships within West Michigan. He approaches each of those with the same humility and respect as the last. Case in point: chocolate packaging is undoubtedly a much smaller undertaking than marketing a multi-story complex, or the appointments of a large population of near-sighted Midwesterners, but quality is no less important. That’s evident from Colter’s excitement and pride in the new labels he’s created for Moyaka, a chocolatier on Wealthy Street. Like Swift and others, Crop Marks is also keen on protecting the environment. Going green can be a costly enterprise for companies that make their money on paper, but using an ultra-efficient Konica Minolta press, environmentally-friendly toner formulations, and recycled paper whenever possible, Crop Marks manages to get the job done without too much waste. The shop relies on one of the smallest-size trash dumpsters available, and rarely fills it up between bi-weekly tips. The majority of their waste goes straight to the recycling center. Printing work is often understated, but it’s still as important to local culture as ever. Swift is located at the entrance of the Bridge Street corridor, takes part in Artprize as an official venue, and welcomes anyone passing by on their way to the Jolly Pumpkin or The Søvengård. Colter and Crop Marks are finding new ways to innovate, too, particularly in sustainable and environmentally friendly products and methods. Like Swift, Crop Marks lends its services to at least one Artprize entry each year. They also sponsor the Local First Street Fair. And, each time a new “Beer City” brewery’s windows are adorned with attractive signage, more often than not, it is Crop Marks’ handiwork. There’s no denying the responsibility these businesses hold to their clients, the community, and the environment. Their name is not on every business card, but proof of their character is. It may be thin and well worn, or etched out of a plate of solid titanium, but it's a call to action and an expression that Grand Rapids has fostered for more than a century.